The wheels are turning but are we making much progress? It’s been a while. That’s mostly due to changes in personal circumstances rather than any existential crisis. Mostly. The increasingly cynical nature of the political landscape hasn’t done much to draw me to the keyboard either. What’s the point? It’s hard to feel motivated to engage with a political process that operates on a 24/7 spin cycle. Like, did you hear the one about how safer cycling for all New Zealanders is just around the corner. How do I know that? Well that’s what the Associate Transport Minister has just told us. So it must be true. 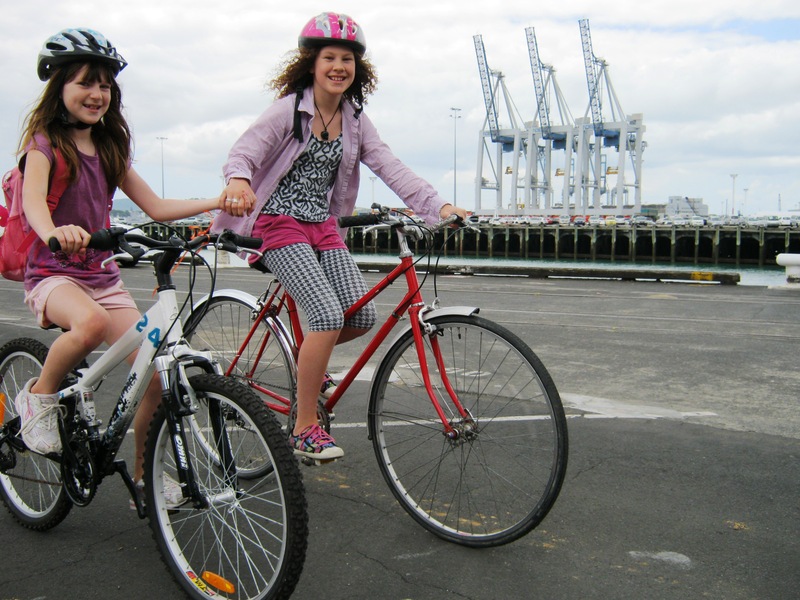 When I came back to live in Auckland about 16 years ago, I had this dream that my then young children would be riding their bikes to school by the time they were teenagers….oh well. I tell myself that I need to stop being so impatient and wait for the spin cycle to stop. Because it will stop one day, won’t it? As unpalatable as may be, it is essential that we are able to talk about our unhealthy relationship with cars and the negative impact that this has on people and our cities. I’m glad I am not a lone voice in questioning the status quo. That’s a bold and honest position. It’s a tough job and it needs to be done. If we are to make any real progress. Extraordinary times require extraordinary measures. Build relationships and allegiances. Build finances and a strong independent voice. Build social campaigns based on positive stories. Build the interdisciplinary human infrastructure to make these changes possible. Like a moth to a light, I have felt compelled to remain engaged in the process of creating change. How we move about our city and connect with people in it is something that touches all of our lives everyday. It’s impossible to ignore. But for me, the light has dimmed slightly. I am less sure of success. I have played my role and I think the voice I have presented has been honest, if not always welcome. I am happy to be corrected on that. Infrastructure, policy and marketing, in equal measure have always been what I have advocated for. The idea of the #wheeledpedestrian was always intended to present a normal and more inclusive image of cycling. I will continue to do that in some form or other. I want to explore video some more. Storytelling in the visual sense. I also hope that the #wheeledpedestrian concept will continue without me needing to be at the helm. Someone? 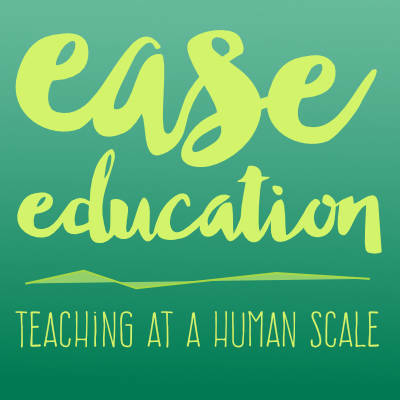 I also want to give some time to my new ‘pet project’, Ease Education. It’s about my attempts to create a learning environment that fits around the needs of the child rather than the other way around. Provocative? Yes. Worthy of exploring? I think so. Teaching and learning is my passion. I have been doing it for a lifetime and I want to document and share some of the magic that happens when you get the culture right. And it is a cultural thing. I know this because even the most modern and innovative physical teaching environment will fail to create better learning if outdated teaching methodologies are employed. It’s all about relationships and the quality of interactions. I see a clear crossover between making a great learning environment and making a great city for living. As I like to repeat, “get it right for the children and you’ll get it right for everyone”. There is plenty of room for improvement. Evidence of our failings are well documented in the media…child mortality, overflowing prisons. How is it that we have lost touch with our humanness? Anyway, I look forward to seeing you across the other side. Tell your friends. Everyone welcome. First steps to creating better cities. Democracy is failing us. It’s getting in the way of us creating better cities. Our cities are over run by cars. The addiction is real. We must mend our ways. But we remain stuck. Research presents compelling reasons to change. Working models exist for us to emulate. But we remain stuck in a netherworld between evidence and democracy. So how do we break this impasse? A new narrative is required. Something greater than ‘more cycle lanes!’ ‘Better cities!’ sounds closer to the mark. People skilled in selling an alternative are needed. New organisations that can create a new and normal path to ‘better cities’ are required. Forging new organisations that will be able to match and eventually shift the inertia will take some effort. No doubt. These organisations will require people that are politically savvy, be able to articulate what ‘better cities’ look/feel/sound like, and engage support from people at a community level. Giving children the ability to get to school safely and independently would be a good starting point, I reckon.